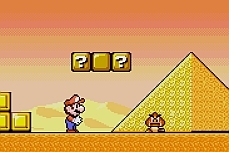 SUPER MARIO WORLD - Play the rom online for FREE! The original SNES game Super Mario World came out in 1990. It was typically packaged with the Super Nintendo system itself meaning every kid in your neighborhood owned a copy. This game became an instant classic and is still one of the best Mario games ever made. New pal Yoshi makes his first appearance and new items like the cape feather allow Mario to fly!